The Haze family line is one of the most THC-potent strains that cannabis has to offer. It is adored for its uplifting, euphoric, and even psychedelic mental experience while allowing the user to remain physically active. Originally bred by the Haze brothers to be an exclusive blend of Sativa strains, Haze has been hybridized further to bring forth a faster and more convenient growing experience. 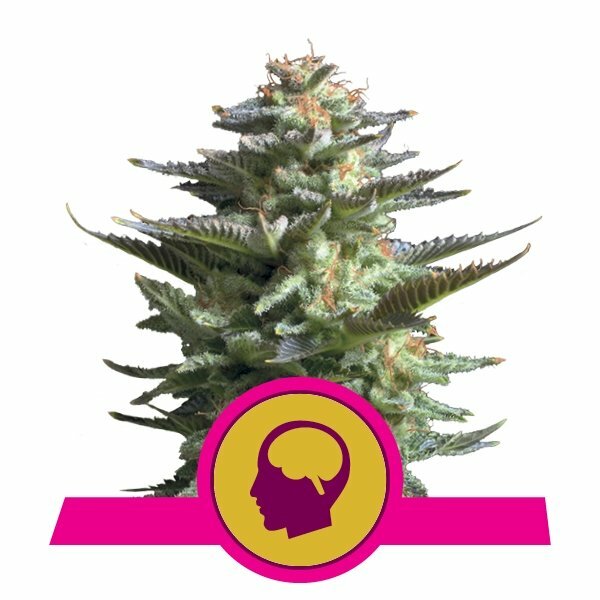 Royal Queen Seeds offers a prize-winning selection of feminized Haze strains with an attractive variety of height and auto-flowering options that maintain the celebrated sweet taste and powerful cerebral experience of the original Haze. All of our Haze varieties maintain a medium-rating of healing CBD potency that medical users appreciate. Shining Silver Haze has a THC potency of 21%. With 75% Sativa and 25% Indica; and composed of Haze, Skunk, and Northern Light, this Haze is obviously a favorite. Shining Silver Haze provides a happy euphoric mental experience along with a comfortable and relaxing body experience. Pleasure and medical users appreciate the sweet taste and instant feeling of euphoria that accompanies every toke. Royal Queen Seeds offers classic traditional Amnesia Haze as well as an auto-flowering version that delivers a quicker, dependable crop with simplified requirements for lighting concerns. Both strains are praised for quick seed germination and study substantial plants. Classic Amnesia Haze packs 22% THC potency, and the auto-flowering version packs a hearty 15%. Our Royal Moby is cherished by cannabis connoisseurs for its bountiful harvest of buds with a pure Sativa-like psychedelic euphoria. Packing 19% THC, Royal Moby is 65% Sativa Haze and 35% White Widow. White Widow's Indica heritage only expresses itself to shorten the flowering time to between nine to ten weeks. These large plants bring forth a patient harvest that benefits the grower with an exceptional reward for their perseverance. Our auto-flowering Royal Haze Automatic was especially bred to offer the tasty, euphoric, and uplifting benefits of Haze along with a quicker and easier growing experience. With a shorter growth habit of 60 to 100 centimeters, Royal Haze can be grown in places where the towering classic Haze plant simply won't fit. When grown in optimal conditions, Royal Haze Automatic can deliver as much as 180 grams (dried) per plant of potent 15% THC buds in as little as 10 to 12 weeks. Our luscious Haze Berry herb is adored for its long lasting, body relaxing, and extremely potent stone effect. 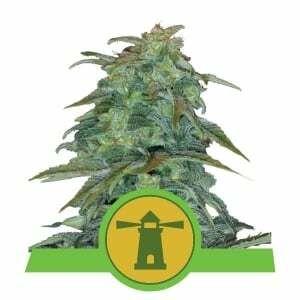 This tall plant brings forth a prolific harvest of bud that packs a powerful 20% THC potency. 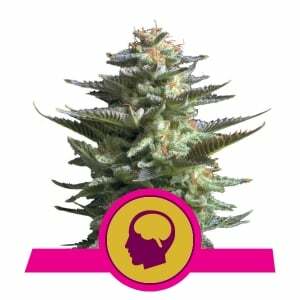 She was created with the genetics of the original Blueberry Indica and Shining Silver Haze. Pleasure and medical users appreciate the sweet blueberry flavor that accompanies Haze Berry's smooth yet energizing high.